Last year's Pixel 2 was practically the best smartphone camera that Google made. 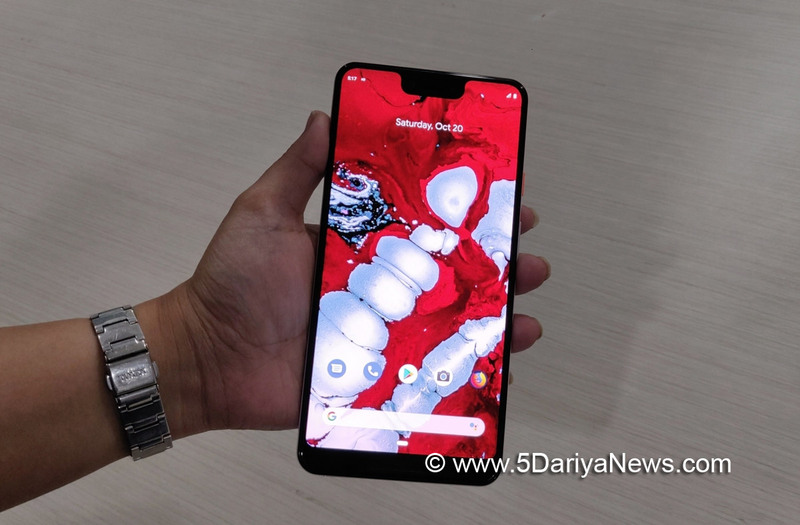 However, the screen's dreaded blue tint and other hardware issues overshadowed a capable phone.It is good to see Google taking serious note of the flaws in the Pixel 2 XL and changing vendors (from LG to Samsung) for this year's Pixel 3 XL.What you get for Rs 83,000 is the base variant of Pixel 3 XL with 4GB RAM and 64GB internal storage with the top-of-the-line Qualcomm Snapdragon 845 chipset. The 128GB storage variant costs Rs 9,000 more. Pixel 3 costs Rs 71,000 for the 64GB storage variant.This year's iteration packs in a better looking body with matte finish, refreshed colours (just black, clearly white and not pink) and a big notch which many people have deemed "ugly".Google shipped nearly twice as many smartphone units in 2017 as compared to 2016, according to the International Data Corporation (IDC). However, Google's numbers are still pretty low when compared to the volumes shipped by Apple and Samsung.Let us see if the Pixel 3 XL will help Google convince buyers to choose it over other flagship competitors.We have to admit the Pixel 3 XL is a camera smartphone at heart, despite not having a dual lens set-up like the new Apple iPhone models and Samsung Galaxy Note 9.Google's Machine Learning (ML) and image processing technology gets the job flawlessly done with the help of a Pixel Core chip. A single 12.2MP primary lens with an f/1.8 aperture and optical stabilisation delivers a great camera experience. The images were beautifully detailed and had accurate colours, sans any sort of over-processing. Not to forget the camera's impressive dynamic range and low-light performance; it can be said that Pixel 3 XL has the best smartphone camera out there.Close-up images taken in normal mode had a natural, shallow depth-of-field, so we didn't feel the need to switch to the Portrait mode often. The Portrait mode particularly churned out images with a high level of detail and sharpness around the edges of the subject.It's worth mentioning that Google has added features such as the motion auto-focus to this year's iteration which essentially locks focus on a subject and tracks it around the frame.The company has added an 8MP+8MP dual camera set-up in the front that makes the Pixel 3 XL a great selfie camera as well. The wide-angle sensor makes sure you get a larger view of the background or squeeze in more people into the frame for group selfies.Another significant improvement over 2017's Pixel 2 XL is the screen. The bigger 6.3-inch screen with QHD+ resolution (1440x2960) and a ppi of over 400 results in sharper and brighter text and images. The OLED display also means lower power consumption and deeper blacks. The screen space is bigger thanks to slimmer bezels and taller aspect ratio but there's a chin and a much-talked about notch on the bigger Pixel.The glass panels on the rear and front are made of Gorilla Glass 5. The top portion is slightly glossy while the bottom is absolutely matte and non-slippery.Google has accommodated front-facing stereo speakers that, it says, are 40 per cent louder. Well, these are certainly louder than those in the Galaxy Note 9 and have no distortion.There's no standard 3.5-mm headphone jack but the company's bundled Pixel USB-C earbuds with Google Assistant means that notifications will be read out to you.The Pixel 3 XL, with its 3430mAh battery, lasted close to 24 hours with mixed use of video and audio streaming and simultaneously running several apps.What does not work?The only thing which might be a put-off for some users would be the notch on Pixel 3 XL which houses the dual-selfie cameras. One way to hide it is to turn it off in developer settings and Google has promised a future update to address this.Conclusion: A significant improvement in the display department coupled with the matte glass rear and impeccable cameras make Pixel 3 XL the best Android camera phone in the market. Also comes with it the best Android (stock) experience.